At the dawn of the Space Shuttle program, NASA's Launch Control Center (LCC) was placed off limits for public tours. On June 15, however, busses embellished with Kennedy Space Center (KSC) decals began whisking visitors off to the control complex for the first time in more than three decades – nearly a year after the final shuttle mission last summer. After clearing a security checkpoint, our bus wheels its way deep into Kennedy Space Center, NASA's 240,000-acre property on Merritt Island, Fla., that doubles as a wildlife refuge. The monolithic Vehicle Assembly Building (VAB) comes into view and grows larger as we approach. 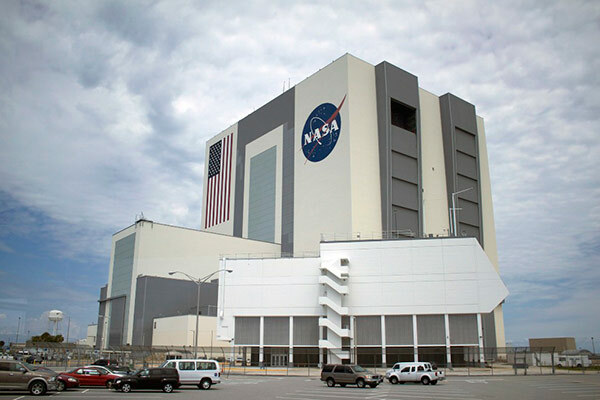 Referred to by NASA employees as the heart of the operation, the VAB houses spacecraft as they're pieced together. Once complete, a 6-million-pound crawler-transporter sidles up to the structure, gets fitted with the craft and ferries it over a gravel roadway to the launch pad 3.4 miles away. The LCC, which staff dubbed the brains of the system, is adjoined to the VAB by a slim corridor protruding from its boxy, white exterior. Our bus sits in the complex's parking lot while the previous tour wraps up -- our guide points out that the kinks in timing are still being worked out. Primed with a quick history lesson and peppered with trivia, we pull up and file into the LCC. Plaques for each mission that embarked on journeys from Launch Complex 39 and a mural depicting the history of human spaceflight greet us. The plaques for the most exciting missions, however, were still to come, the tour guide assures. A security detail joins the group before we venture any further. 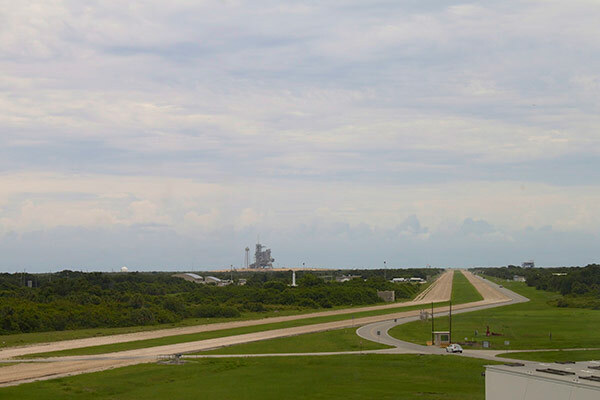 Though activity in the building has been dialed back since the Space Shuttle program's mothballing, it's still a secured federal facility where work continues on commercial launches and preparation for future NASA missions. Following security protocols, our chaperone leads the way with a guard at his side. As we ride an elevator, the guide contemplates aloud who else has stood within its confines: astronauts, presidents and scientists. The doors open, revealing the entrance to the nerve center and a message etched into a pane of glass: "The greatest launch team in the world enters through these doors." Lo and behold, there it is: Firing Room 4, one of four veritable ground zeros for NASA launch countdowns. The room -- captured on television, historic photographs and portrayed in films -- is at the same time larger than life, but smaller than the imagination has led to believe. A constellation of computer consoles is crammed within, each station laden with knobs, displays, keypads, buttons, dials and a dedicated phone. A screensaver we spot reveals that NASA is still partial to Windows XP. These are the windows, according to its architect Martin Stein, "through which you can see mankind's future." Though we can't wander the room, we're briefed on its layout, carefully shepherded through the consoles and towards the Launch Director's perch above the other terminals. The 1,600-step pre-launch manual, known as the S0007, is on display in a set of 10 beefy binders. Its pages hold launch contingencies and the classic roll call associated with the critical "go" or "no go" decision. And of course, the launch clocks hang on the walls -- running a ghost countdown to simulate the hours before an actual mission. 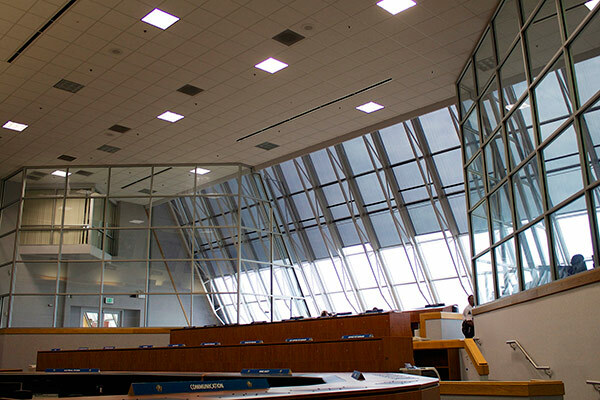 Aside from the clusters of computers, the towering angled windows that frame a spectacular view of the crawler way and launch pad dominate the room. These are the windows, according to its architect Martin Stein, "through which you can see mankind's future." After a final gaze at the innards of the firing room, we're ushered outside and into the bus. A consistent message is echoed throughout the tour: Reports of NASA's death are greatly exaggerated. Despite the shuttle shelving and reduced federal funding, it's stressed that NASA isn't packing up shop -- our guide is quick to point out that employee parking lots aren't empty. In fact, tours of the LCC may cease if commercial missions make use of the facility and as the Orion project (NASA's shuttle successor) gears up for manned spaceflights to an asteroid, the Moon and Mars. Kennedy Space Center may not be as busy with launches as it once was, but it's still busy inspiring the next generation of intrepid astronauts. Still, it's hard to shake thoughts of what NASA would be doing with more cash in its coffers. However, construction at the visitor center is proceeding at full steam ahead. A 65,000-square-foot exhibit that'll house the Space Shuttle Atlantis is aimed for completion in the summer of 2013. Kennedy Space Center may not be as busy with launches as it once was, but it's still busy inspiring the next generation of intrepid astronauts. "Do come back," the tour guide urges with his parting words. "Great things will continue to happen right here." This article originally appeared in Distro Issue #48.